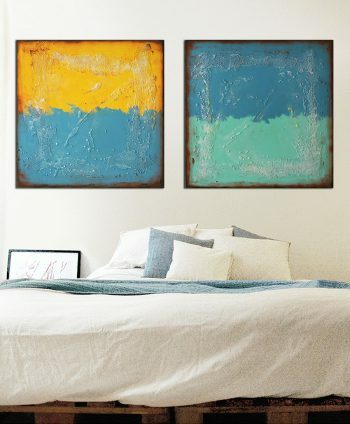 Who’s afraid of yellow and blue? 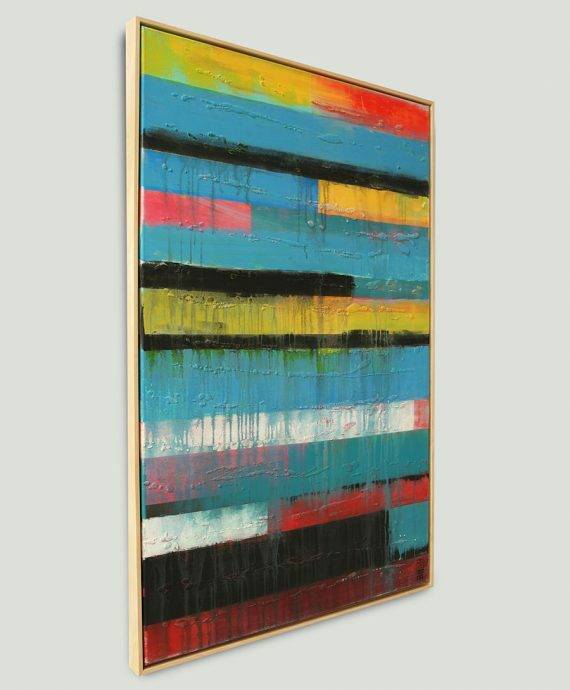 One of Ronald’s favourite artworks is the ‘Panels’ serie, this idea came from a huge table Ronald used to work on with large wooden panels. Through multiple layers of paint and texture he aims to create a sense of depth – there is always something new to discover in this work of art. 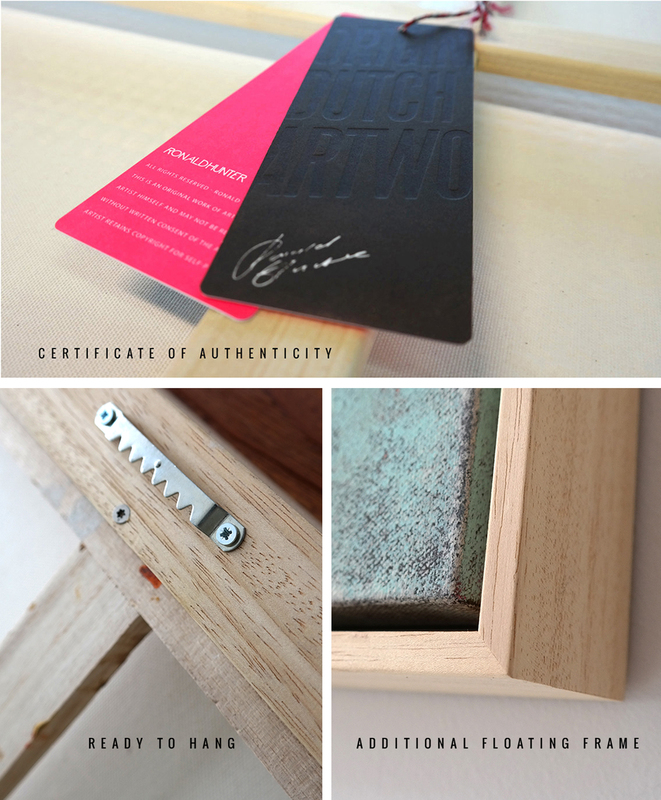 This painting comes with a natural oak frame (edge style). 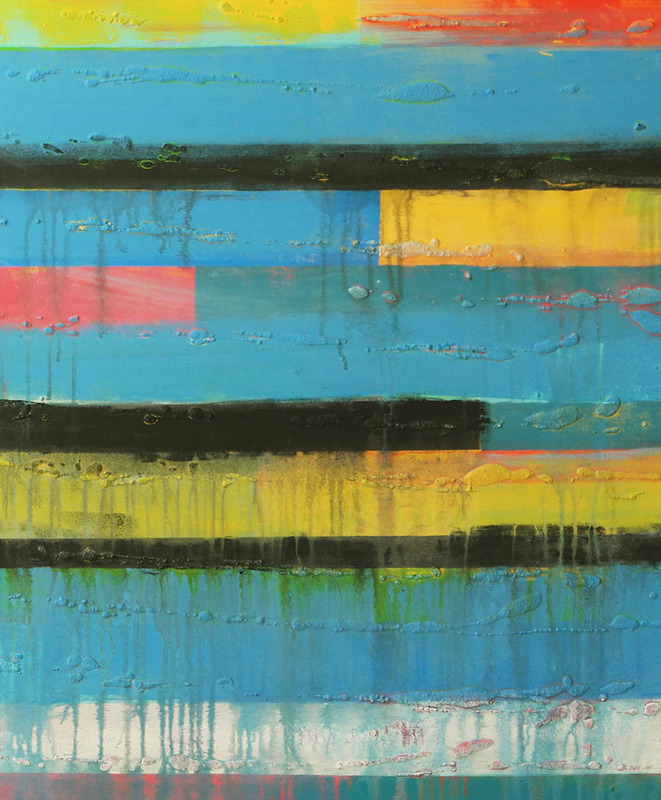 Colorful Painting – Panels Color on Color (85x125cm). 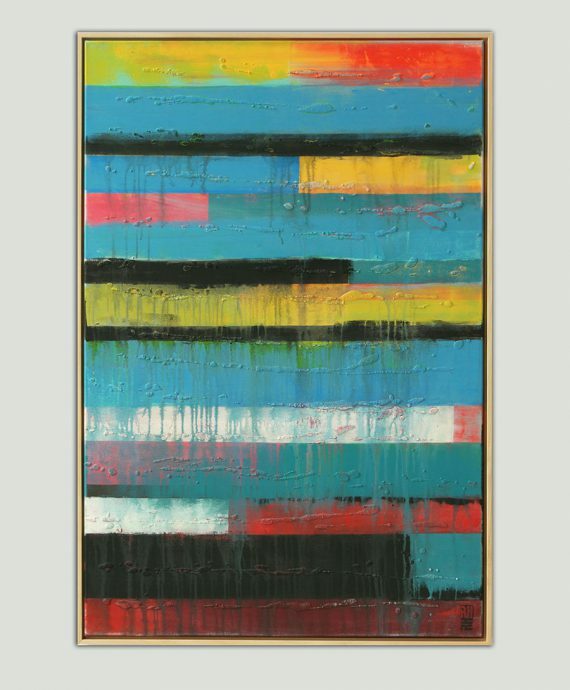 Vertical colorful painting, hand painted by Ronald Hunter. Acrylic paint, with light texture. Panels Color on Color – A colorful painting with warm colors. 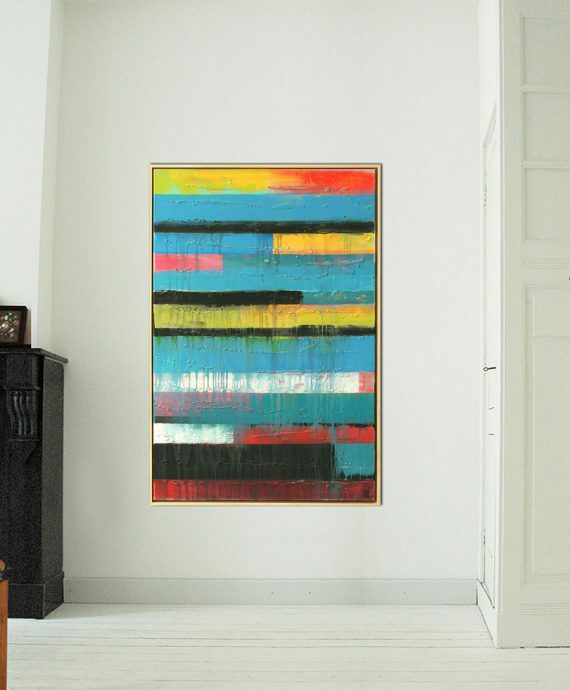 This vertical painting reminds us of a sunny holiday. 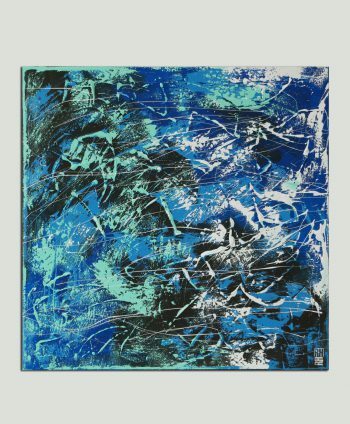 This abstract painting is made with many layers of acrylic paint, creating depth and texture.